We received snow last night about 2-3 inches. Reports are in that the trails are still rideable and in pretty good shape. According to the weather forecast, we are expecting 4-6 cm in the next week or so. South trail- Summit/Goodwyn is in pretty good shape with some rough spots, Manweiler is in great shape and some of the trails in the north are fair as well, up to 18″ on the trail. 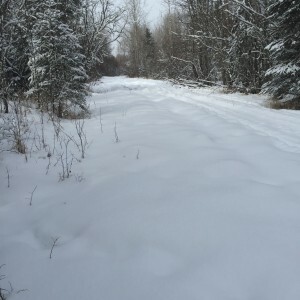 Update to trail report (Mar 1)- #19 to Eagle River Staging area has been brushed and there is not enough snow. A creek is busted up. There are some trees blown down in the north. Powerline north of #19 had lots of bare ground before the snow this past weekend. Be cautious out there. Conditions before this snow, were Extreme Late Spring Conditions with dirt spots exposed rocks and debris. Again the trails are very hard and icy in places, if you are riding please use EXTREME caution. Please use extreme caution when crossing water areas including rivers, lakes, ponds and streams. 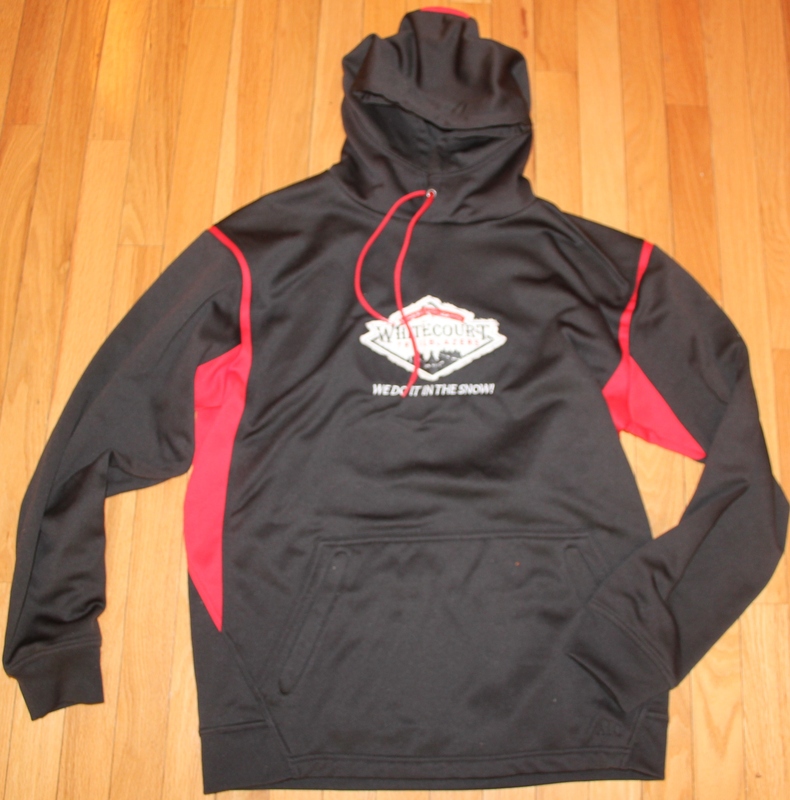 Send us your pictures if you get out on the trails. We like to hear how they are as well. Enjoy your week. Day passes are still available at the Whitecourt IGA, First Choice Husky Truck and Car Wash, Kanata Travel Plaza, Adrenaline Powersports and RPM Power Sports. 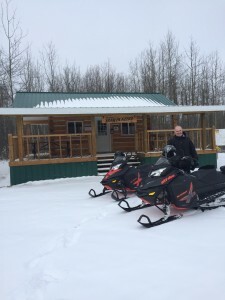 Trails are still in rideable shape, with what seems to be an early Spring in the Whitecourt area. We received a few inches of snow over the last week but with the warm temperatures they have definitely shrunk. Trails are packed and bumpy in areas. After last week’s winds, the trees have been cleared on the Manweiler, Summit and Goodwyn trails. Trails in the north have not been cleared, so beware. Conditions before this snow, were Extreme Late Spring Conditions with dirt spots exposed rocks and debris. Again the trails are very hard and icy in places, if you are riding please use EXTREME caution. Please use extreme caution when crossing water areas including rivers, lakes, ponds and streams. People are still out enjoying the trails and warm weather. We have had a few pictures and stories that there is snow out there and fun to be had. Enjoy your weekend everyone. Day passes are still available at the Whitecourt IGA, First Choice Husky Truck and Car Wash, Kanata Travel Plaza, Adrenaline Powersports and RPM Power Sports. Merchandise for sale while quantities last. Thank you to everyone who came out for our Tailgate Party/Polaris Raffle Draw Saturday and on Sunday for our Ski-Doo Raffle Draw. Thank you to IGA- Ken & Mistie for bringing the food & snacks, Sniper – Jason & Lincoln for cooking the hotdogs, Jordan for the sled transportation and Westward Community Centre for letting us crash the parking lot and the veranda. 2 Beautiful days of sun and warmth and a little bit of snow. A big thank you to Whitecourt IGA and Canadian Tire Whitecourt for selling the large volume of raffle tickets for us. Couldn’t do it without you. Thank you to Adrenaline Powersports, RPM Power Sports and all the other members who sold tickets for us throughout the season. THANKS TO THE BOYS (Cyril Lanctot, Alec Manweiler and Leroy Roth), + ELAINE for selling tickets for us the past 2 weeks. YOU GUYS ROCK. It snowed and is snowing! BUT, We had a HUGE windstorm last saturday and reports are filing in that there are trees down everywhere and the trails are very hard and icy through out the entire trail system. This snow will help and will make the trails rideable again, but extreme caution is needed. Conditions before this snow were Extreme Late Spring Conditions with dirts spots exposed rocks and debris. Again the trails are very hard and icy if you are riding please use EXTREME caution. Unfortunately, the Whitecourt Trailblazers Club has cancelled the 2016 Annual Family Snowmobile Rally due to the lack of snow throughout the season. This is the 3rd Rally in 36 years as a club, that one has been cancelled. We want everyone to have the best riding experience on our trails and believe that with the large number of snowmobiles that participate in our rallies, the trails may be compromised. In looking forward at the forecast for the next 10 days, there is very little snow fall expected in our area. Sorry for any inconvenience this may have caused you and your family. 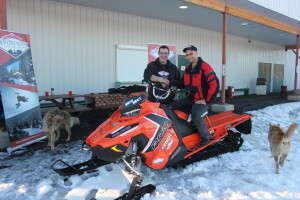 We have two snowmobiles to be raffled off on the Family Day weekend. One a 2016 Polaris Pro RMK 800 – 163 Raffle that will be drawn for on Saturday, February 13th at 4:30pm at the Westward Community Centre and the second one a 2016 Ski-Doo Freeride 154 Raffle which will be drawn at 4:30pm Sunday, February 14th at the Westward Community Centre. We will be selling tickets for $5 each for the next 10 days at the Whitecourt Canadian Tire and Whitecourt IGA. This is your chance to get your tickets, before the draw on Family Day Weekend. Thank you to everyone who has supported us this season and in the past. We look forward to hosting our Rally next year on the Family Day weekend in 2017. 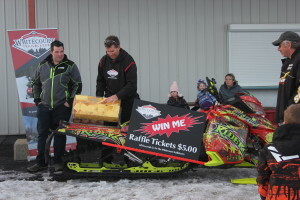 We have two snowmobiles to be raffled off on the Family Day weekend. One a 2016 Polaris Pro RMK 800 – 163 Raffle that will be drawn for on Saturday, February 13th at 4:30pm at the Westward Community Centre and a 2016 Ski-Doo Freeride 154 Raffle which will be drawn at 4:30pm Sunday, February 14th at the Westward Community Centre.